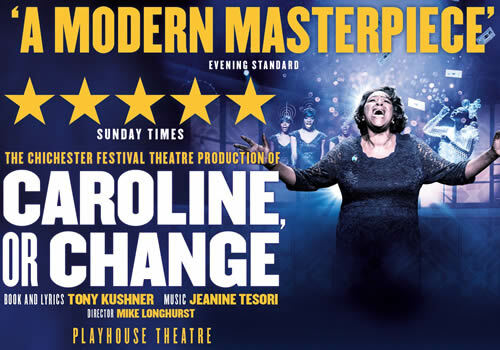 Tony Kushner’s Olivier Award-winning musical Caroline, or Change transfers to the West End following sold-out seasons at the Hampstead Theatre and Chichester Festival Theatre. 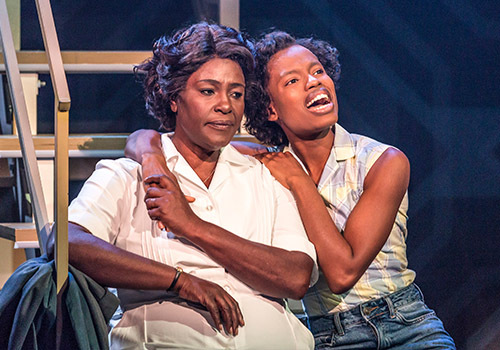 With theatre legend Sharon D. Clarke reprising her role as the title character, the critically-acclaimed production plays a limited season at London’s Playhouse Theatre. Set in Louisiana 1963, Caroline, or Change takes place when revolution is ripe in the air for everyone except poorly paid maid Caroline Thibodeaux. Spending her days working in the basement of the Gellman household, Caroline lives within a magical world of piles of laundry and singing washing machines. Young Noah Gellman ventures downstairs as often as he can to see Caroline, but his simple gesture of leaving more money in Caroline’s pocket may put to test how far the winds of change can truly reach. Caroline, or Change originally premiered at the National Theatre in 2006, earning the 2007 Olivier Award for Best New Musical. 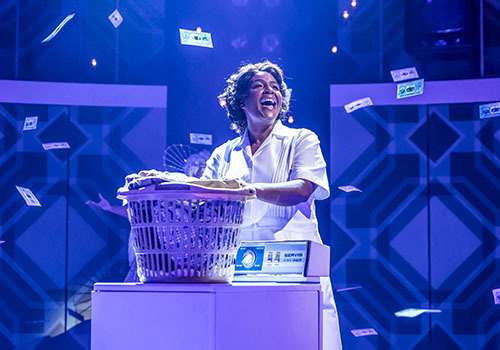 Olivier Award-winning actress Sharon D. Clarke reprises her role as Caroline, with extensive stage credits including Ma Rainey’s Black Bottom, Eugenius, Ghost the Musical, Hairspray and We Will Rock You. She is joined onstage by Naana Agyei-Ampadu, Me’sha Bryan, Keisha Amponsa Banson, Sue Kelvin, Alastair Brookshaw, Angela Caesar, Dujonna Gift-Simms, Teddy Kempner, Vincent Pirillo, Ako Mitchell, Abiona Omonua, Tanisha Spring and Lauren Ward with Cassiopeia Berkeley-Agyepong, Zalika Henry, Timothy Quinlan, Laura Medforth and Teddy Wills. Alternating the role of Noah are Isaac Forward, Aaron Gelkoff and Jack Meredith. Similarly for the role of Jackie, Mark Mwangi, Kenya Sandy and Jeremiah Waysome will take turns. The part of Joe is alternately played by Josiah Choto, David Dube and Raphael Higgins-Hume. 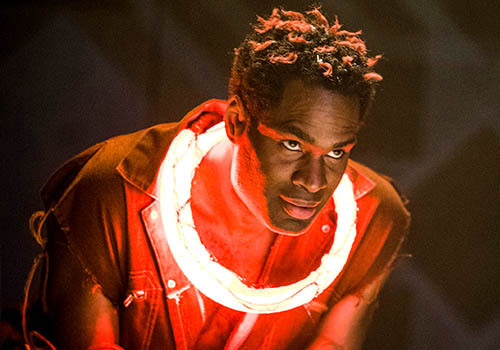 Partly inspired by his own childhood, the musical features a book and lyrics by Tony Kushner, whose other credits include the celebrated Angels in America, and music by Jeanine Tesori. The production is directed by Michael Longhurst, whose credits include Constellations and Amadeus, and is choreographed by Ann Yee, with design by Fly Davis, lighting design by Jack Knowles and sound design by Paul Arditti. Hailed by critics, the musical is a deeply moving portrait of America at a time of significant social change, set against a soaring score of blues, soul and classical music. 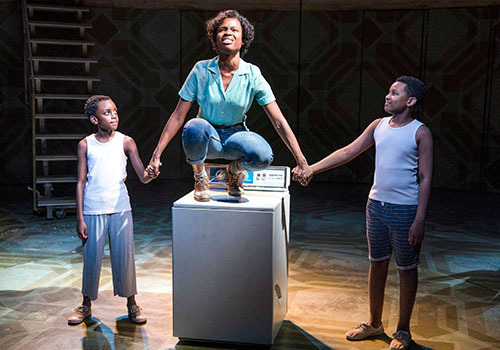 The five-star Caroline, or Change plays a limited season in the West End, running at London’s Playhouse Theatre from November 20th 2018 to March 2nd 2019, with an official opening November 28th 2018.